Choosing a photographer is tough. Whether you need someone to photograph your wedding, your baby, or your dog, there are often lots of choices in your area and as a client it can be hard to know which one is going to be the best fit for you. What is the difference between all of these options? How do you make sure you're picking the right one? The good news is that there is no ONE right answer that fits everyone. Each photographer is different, they offer a different experience, and create different work. But there is a right photographer for you! And I will help you find them. 1) The look or style of the images. Do you love the colors in that photographer's portfolio? Can you imagine yourself (or your dog) in those images? Do you love bold colours or something more pastel? Or maybe you're looking for a more moody vibe? Find a photographer whose work you love to look at. 2) The location or setting of the images. Does this photographer primarily use a studio or an outdoor location? Which one excites you the most for your own photos? What are you envisioning for your session? Do you know a friend who has used this photographer before? If not, can you look at some reviews and see if they resonate with you and make you feel excited about working with this person? Reading what other clients have to say is really helpful. How much did they love their experience? Are they giving details about it that help you imagine yourself in the same scenario? You can find reviews on Google, on Facebook, or even on the photographer's website. I think this is most important part. What is this photographer known for? What type of photography do they show the most in their portfolio/website? If they're showing weddings but you need photos of your baby, they might not be the best fit. It's just not what they seem to do the most. And you want someone with experience. Every type of photography is very different and requires different skill sets. But if their entire website is dedicated to dogs and that's exactly what you're looking for... then you're on the right track. In the end, you want to take the information available to you and decide on a few really great choices to contact for more information. You can meet up with them in person prior to booking and make sure you get along well and you feel comfortable with them. This initial meeting is great for both the client and the photographer! It gets your journey off to a wonderful start. There is a perfect photographer out there for you, and now you have these tools at your disposal to find them! I'm feeling verrrry Christmassy these days and I just love the ambiance and overall feeling at this time of year. Everything feels cozy and magical. And I get so excited to create images that evoke that feeling as well. I want you to get the most out of your holiday celebrations and have images that you cherish as well, so I've compiled a list of 5 fun photo ideas to try during the holidays, as well as tips on how to make the magic happen. If you try some of these and post them on Facebook or Instagram, I'd love for you to tag my Wet Nose Images account so that I can see them. I love seeing everyone's photos. This is the first one I always want to do every year. I love the lights on the tree, but with a few tips you can make it even more magical! 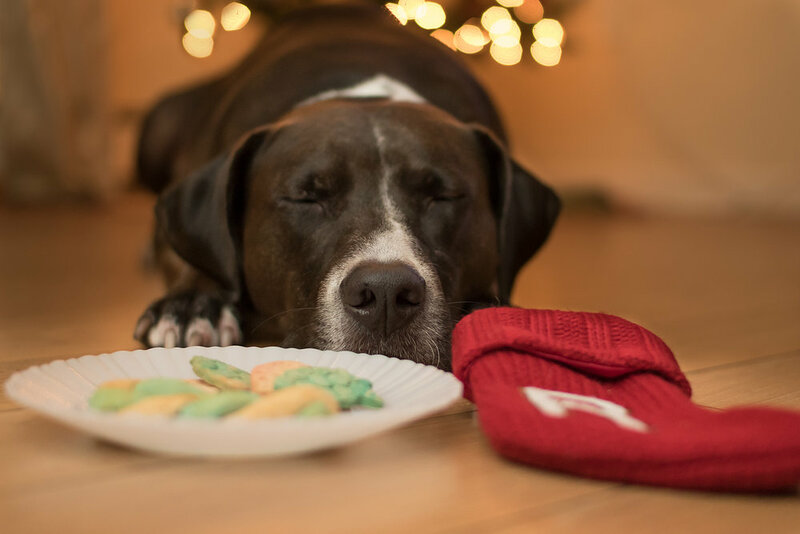 Have your pup sit away from the tree instead of right in front of it. That way when you focus on your dog, the tree goes out of focus. That's where the magic happens! When you make lights go out of focus they turn into beautiful orbs of light! Depending on where you live and the weather, this opportunity may not present itself as easily. But hopefully you'll get some snow for Christmas! Ruby loves snow zoomies and she leaps through it like a gazelle when it's deep. I love her love for snow - it brightens my days when I'm grumpy about the cold. On a sunny day the snow will be very bright, so you'll need to keep that in mind. If you have a brown or black dog this type of shot will be even trickier because the dog and the snow are at opposite ends of the spectrum. I recommend making sure your dog is lit by the sun so that he or she isn't too dark to see. Similar to the tree photo, you can make the outside lights turn into beautiful orbs if you position yourself and your pup carefully. Again, you'll want to keep your dog far from the lights so that they are quite out of focus, and then have your dog close to the camera. You can use the lights on houses in your neighbourhood, lights downtown, street lights, or even a big tree downtown! If you've got a patient pup, this can be a fun one to try! And if your pup isn't very patient just yet, this is something fun you two can work on together. Build up to it, and you'll be so excited when you get there! Check out my blog about teaching tricks if you're not sure where to start. You could have the treats on the table and take a photo to show your pup waiting on the floor with big eyes, or try a setup on the floor like I did with Ruby. #1 - With their favourite person - you. 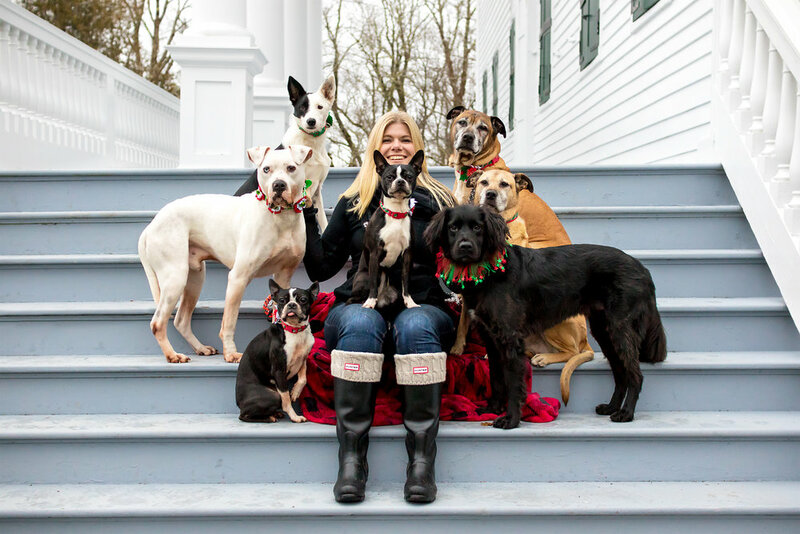 The best idea of them all is to make sure YOU get in some photos with your sweet pups. They love you so much, and I know you love them just the same! Having a photo of you together is so precious. You can have someone take more candid photos as well, of your interaction together - giving kisses, hugging, snuggling on the couch, etc. Whatever shows your special bond! Just make sure you get in there with them sometimes. You won't regret it. A few blog posts ago I listed some of my favourite Instagram accounts for local puppers (here). And now I want to share some of my other favourites who live farther away! These aren't in any particular order - just the order in which I remembered them. If you want some beautiful images in your IG feed and want to make some new pupper friends, be sure to check these guys out and follow them! Each one has a link so you can quickly pop over and take a peek. Described in her profile as a Fashion Icon, Lifestyle Enthusiast, and kangaroo/Deer Hybrid, this teeny Italian Greyhound is just adorable. She wears all sorts of hilarious and cute outfits and has great captions to go along with them all! This pack includes Beebs, Stache, and Jax, and they're all white with just bits of black. So gorgeous! They spend their days lounging on pool floaties, rolling in the grass, and being sweet models for the camera. Ruby (not my Ruby!) is a stunning Doberman who seems to be an incredible little (big!) model. She always looks so regal and strong. Except for some photos where she's running and smiling like the sweetie she is. Boris' feed is very minimalist and white, which is so lovely to look at! He fits right in, with his fur coloring. You can see snippets of his sweet life, cruising the streets of Belgium, rolling around on beds, and so many snuggles. 5) Luna & Blue @lunaandblue - U.K. These two are gorgeous and fluffy German Shepherds and their parent is a photographer. The look and feel of their IG feed is fantastic - rich, earthy colors and a lovely film-type look. I love it! They go on adventures in the wilderness all the time and the views are gorgeous. These two also have a photographer parent - one of my idols, actually! Charlotte Reeves is an amazing dog photographer. Fletcher and Opal are both quite young, but they learn quickly! They're Australian Shepherds, so they're eager to work. These two beautiful Heelers (Australian Cattle Dogs) are always out adventuring with their people. Climbing mountains, crossing rivers, camping, and just enjoying every aspect of being outdoors ... in Canada! This little whippet is just too cute. His IG feed is full of snippets of life around his home, in the park, and exploring his city! He always looks so dainty, so soft, and so sweet. Hector is the whitest Schnauzer I've ever seen! His mum has some magical product that keeps him looking like a beautiful meringue and he's just stunning. 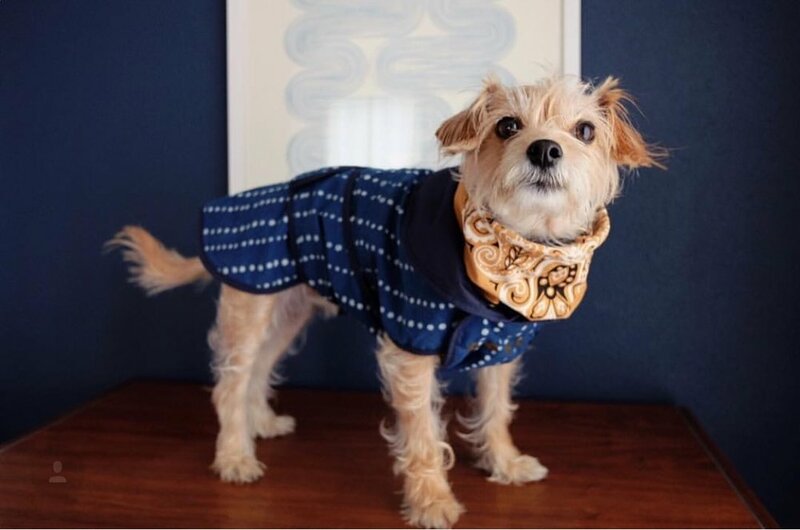 He's often modeling some cute human clothes like bow ties, flower crowns, and sweaters, but also regular dog things like lovely collars and bandanas. Fergie has the best expressions, probably because she's an Italian Greyhound and they seem to be good at those! She can often be found modeling with flowers, just like Hector. But she wears flowers of all sizes and colors, and they may be headbands, necklaces, hats, or even a bed of flowers to lie upon. She's certainly a queen, as the crown emoji in her bio shows. I'm sure you've seen this guy around the interwebs. I know we all think our dogs look like they're smiling... but just look at this guy's smile! It is probably the most heart-melting thing you'll see today. Leroy is a handsome scruffy dude full of joy. He loves naps, his baby brother, his bandanas, and riding on motorcycles! This cool little dude moves between Miami and Toronto and is always having a fabulous time. Visiting the swankiest patios, pools, concerts, and looking dapper as heck the whole time. These two fluffy pups are Samoyeds and I can't get enough of their floof! They're always smiling, they look so similar (except for those noses), and they often look like they must be teddy bears instead of actual dogs! Momo and his dad travel all over the place and, being a Border Collie, Momo is very eager to work and practice commands. On his dad's IG account ((@andrewknapp), he'll play "find Momo" where he posts a landscape photo and you have to try and spot a tiny Momo somewhere within it. Momo also has his own account just for photos of his sweet face. It's way too cute! Such gorgeous eyes. I hope you've enjoyed taking a peek at some of my favourite accounts. What are some of yours? I'd love to fill my feed with even more cuteness! See my blog post about my favourite local IG accounts here! 2016 was an amazing year for me and for this business. I met so many incredible dogs, their lovely humans, and we explored new locations! Every new client brings me a new friend, a new challenge, a new adventure, and so many wonderful memories of our time together. Would you just look at all these sweethearts I got to spend time with last year? How lucky am I? To celebrate and reflect on the year, I want to tell you about ten awesome things that happened in 2016. TEN. I did a holiday photo day for the first time, and I think I'll do it again this year! This one was at Pampered Paws Inn. I set up a few mini trees with lights in the background and used my 70-200mm lens to compress those lights and make then big and beautiful! This is exactly the look I was after and I'm so happy with these images. NINE. I hired a fantastic group of brand Ambassadogs to assist me with increasing my reach and brand awareness within the community. They have been incredible. 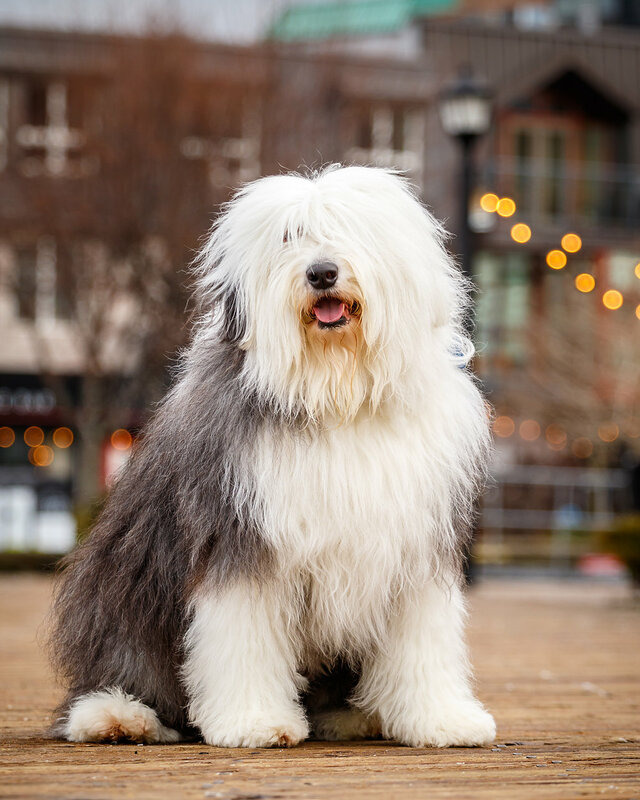 I photographed each of them last summer so that they could see what it's like to be a client of Wet Nose Images, and they've been wonderful to work with. Meg, Candice, Kristen, Alana, and Allison... I appreciate you all so much! EIGHT. 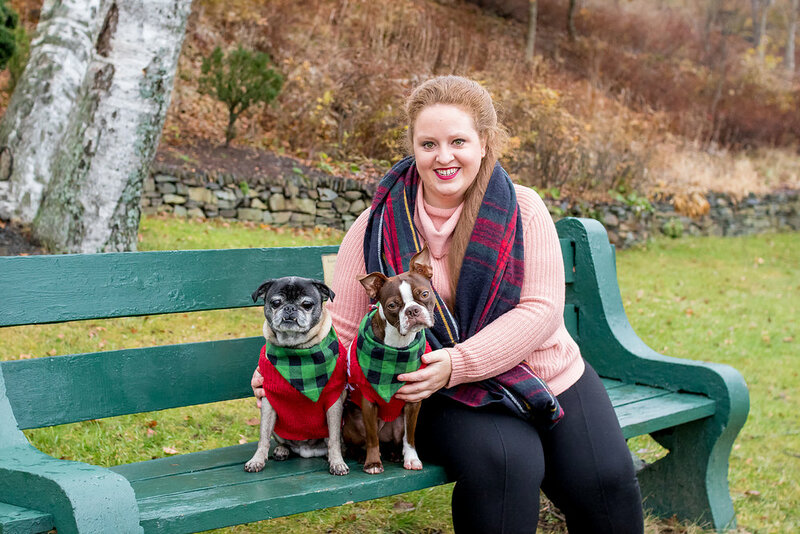 I got to be a small part in two more "happily ever after" stories for two dogs in rescue. Siblings K9 Rescue contacted me to photograph Red and Gizmo, who were waiting very patiently for the perfect families to take them home. While waiting in their foster homes I did a little photoshoot for each pup - one in July and one in August - which helped their new families find them and fall in love. Getting the call that they've been adopted is a wonderful feeling! What I've done doesn't compare to what the rescue organization or the foster families do - not even close. But I'm so happy that I can contribute something that makes a real difference in the lives of these sweet pups. SEVEN. I started using a Bullet Journal and it has changed my life. Really! I don't have to worry about forgetting something, because I know all my tasks and important dates are written down in one place. I am so much more productive with a running To Do list every day. And I can also jot down other notes about things that happened during the day that I'd like to remember when I look back through it. A Bullet Journal is basically a combination of planner and a journal, and it can be as simple or as fancy as you want it to be. It's completely customizable because you just start with a blank notebook and do it all yourself. If a certain layout or system didn't really work for you this month, then try something different next month. You're not stuck with the same strict layout for the whole year like you would be with a store-bought planner. You can use your Bullet Journal to plan/track/log/remember anything and everything in your life. Whatever you need it for, you can make it happen. Exercise goals, business tasks, mental health, new habits you want to create, books to read, etc. Check out some blogs, YouTube videos, and Instagram accounts about bullet journaling to get some inspiration! SIX. 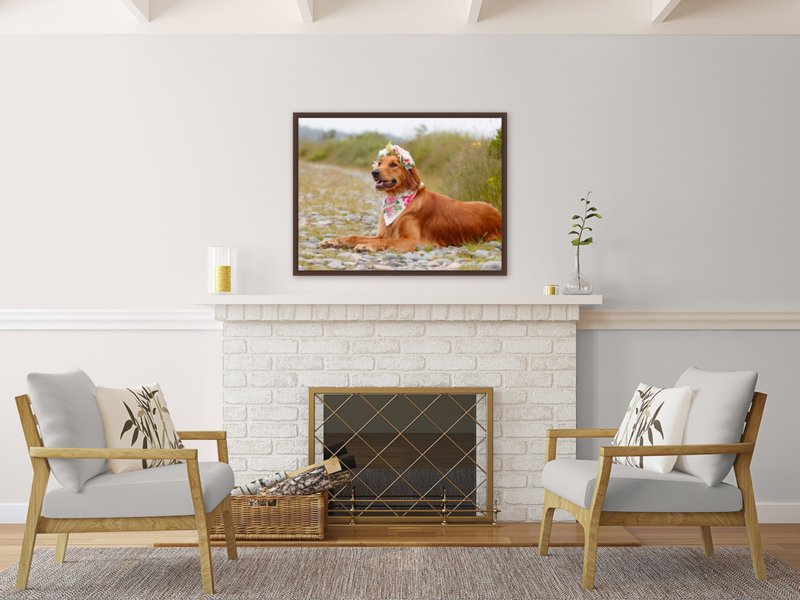 In October I was asked to give a presentation for the Kennebecasis Valley Camera Club about my business as a pet photographer and tips for photographing animals. This was pretty exciting, as it was the first time I'd been asked to speak for a group about what I do! And since then it's happened twice more. Last month, of my teachers from photo school asked me to speak to the first year class about what I'd been up to since graduating, which was a great honour! And I'll also be speaking to the Sackville Photo Club this week. 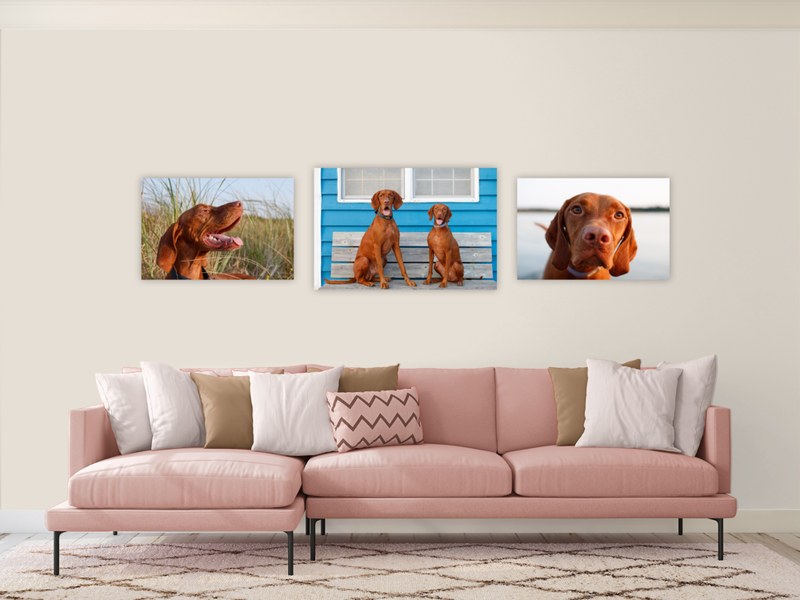 I love talking about photography and dogs to anyone who will listen, so this is really cool! FIVE. I was hired by the IWK to photograph two of the amazing therapy dogs who volunteer there. These images were for the S.T.A.R.T. program (Suspected Trauma and Abuse Response Team), which is an amazing resource for kids who have experienced trauma and are in the process of reporting it. These therapy dogs are there to provide support and comfort to these kids while they're talking with staff and police officers about their situation. I got to meet these wonderful dogs, as well as their handlers and the amazing staff at the IWK. THREE. I had a table in a vendor show this summer: Victoria Barks in the Park (held in Victoria Park, Halifax)! It was such a neat experience to have my booth outdoors with other awesome dog-related businesses and rescues, and to meet all the dogs and owners who came by. Next month I'll be in another one - much bigger! The Doggie Expo, held in the Dartmouth Sportsplex on March 26th. Will I see you there? You can bring your dog! TWO. I started teaching! I love, love, love to talk about cameras and photography (I think we've already established that) and I know that many people have a decent DSLR camera sitting at home that either isn't being used or is being used only on AUTO. Which isn't doing that beautiful camera any justice. It's capable of so much, and so are you! So I started my Mastering Your DSLR course to teach folks the basics of photography and how to find their way around their camera. My course is different in a few ways from other short courses that I've taken in the past. First, it's split up into 2 parts so that you don't get information overload in one day. Secondly, it takes place outside while we walk through the park, so you can all try out the new things you've just learned, and get immediate results and feedback from me if you need help with something. And lastly, you get to join my private Facebook group for participants of the course. That way your learning is ongoing. I don't just give you the information and send you on your way. We can continue talking, sharing images, giving and getting feedback, etc. And very soon I'll be offering this course via Skype for those who are too far or can't make it to the group walk. Keep an eye on my Facebook and Instagram for details when it comes out! Do you have a nice camera sitting at home that you NEVER use because you simply don't have the patience to read the manual or learn what apertures, shutter speeds, and ISO are? Or maybe you do use it but keep the dial on AUTO so you never even touch any of the fancy buttons on the back. If so, you're not using your camera to its full potential and I KNOW you want to! You've got kids or grandkids to photograph, or dogs, or your travels, or the wildlife and scenery in this beautiful province. There's so much to capture and I don't want you to miss out any longer. 📷 I can help you! I'm putting together a 2-part course to teach you the basics of photography and how to use your camera. No experience required - we'll start from the beginning 😊It will be hands-on learning and then a photo walk to practice what you've just learned. If this sounds like something you'd benefit from, let me know! There will also be a discount if you sign up with a friend, so tag someone you'd want to learn with! It's more fun that way 😊 Keep an eye out for more details! ONE. And most importantly are the year's highlights that involve my little family. I'm now engaged to the love of my life, which is a wonderful feeling. She said 'yes' last January, and although we have no immediate plans for the wedding, it will happen one day and we're both completely happy with that. We've got the rest of our lives together! We're in no rush. Also our pup, Ruby, has made a doggy friend. This is a big deal for her because she's dog-reactive and very fearful of most dogs. But she made friends with a wee Dachshund who lives nearby and my heart could just burst when I watch her invite the little guy to play. Ruby is obviously much bigger than him, and she's also younger and more energetic. But he's very patient and doesn't mind some excited hopping and twitching from this big goofball of ours. Anyone who has a reactive dog can certainly understand why this is such a big deal. So I had a pretty FANTASTIC 2016. What about you? What were the highlights of your year? Are you on Instagram as much as I am? 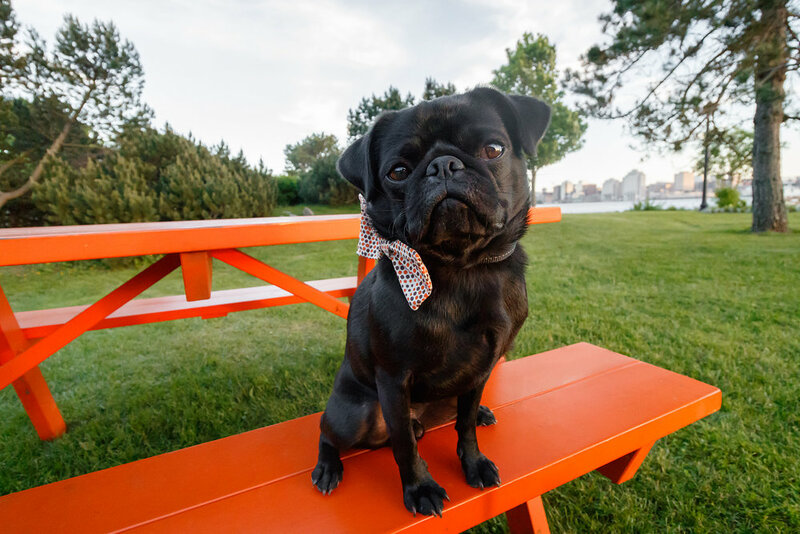 I use it quite a lot for my business - it's even surpassed Facebook now as my most popular platform for connecting with local pup parents and finding new clients. The Instagram community is so wonderful and supportive and I LOVE seeing all the local pups so happy. There are dog walkers, doggy daycares, personal accounts for pups, and accounts that were originally intended for a human but clearly the dog took over.... haha. I wanted to make a list of some of my favourite local dog accounts (accounts made specifically for the dog) so that you, too, can enjoy their beautiful, happy photos in your Instagram feed every day! These are my favourite accounts for the quality of their feeds as a whole. Every single dog I meet and see is just gorgeous - no doubt about it. But these accounts are beautiful on top of the already cute dogs! Hoffman is the sweetest, chillest, little dude. He's an amazing little model (for his parents and for me), and he's always having great adventures and being a fantastic representative for his breed! Capone is such a hunk! He's got the biggest pibble smile I've ever seen and he's just a sweetheart. He's always well-dressed with a new collar, bandana, or hoodie! Flapjack knows how to work the camera, too. His Instagram is full of puns, silly costumes, and Harry Potter pick-up lines. He loves exploring Nova Scotia even though his legs are only little! Norbert and Gilbert are very nearly identical and absolutely hysterical. Their serious pug faces crack me up every time. They always have snazzy harnesses, are up for an epic adventure at any moment, and LOVE trying on costumes. They're also therapy dogs with St John Ambulance! Mason is a tiny ball of adorable fluff. Who is fantastic at head tilts. He also used to be an even tinier ball of fluff, which you'll get to enjoy when he does throwback photos of his puppy days. You will squeal and maybe cry. It's okay. We've all been there. Lemon's Instagram feed is full of airy, bright images of her exploring the city. She's usually sporting a gorgeous collar, harness, bandana, or leash from Hound Collection, and she looks like she's living the dream. Rupert is such a handsome dude. He shares photos of his fun times at daycare, his big puppy dog eyes when there's food around, and him sleeping with his stuffed toys. Just too darn cute! Penny is another pup with a big, beautiful smile! And I just love her colouring. I especially love all the beach photos in her feed - she always seems to be somewhere with a beautiful body of water, whether it's a lake or the ocean. Not only does she have a big smile, but she also has big, expressive eyes, and a big tongue, too! Perfect for #tongueouttuesday! Frankie loves swimming, camping, and adventuring in the woods with her family. I also spotted her at Pride this summer! She's a whole bunch of cute in a teeny tiny package and the captions on her photos are always perfect. This adorable duo is gorgeous. Even though their breeds are nothing alike, their colours somehow match perfectly! And their human does such a wonderful job of capturing their sweet joy together and the sparkle in their eyes. Every photo is just so beautiful! Okay wait... I've got one more to add! My own pup, Ruby, has an Instagram account! It's run by her other mum, and you can see all Ruby's derp faces and foolishness over there. Go check her out! So there you have it: my personal favourite Instagram feeds right now for dogs in the Maritimes. Maybe I'll make some more favourites lists! Dogs in Canada... and then international dogs, too? Let me know in the comments - which are your favourite Instagram dogs to follow? Who should I start following?